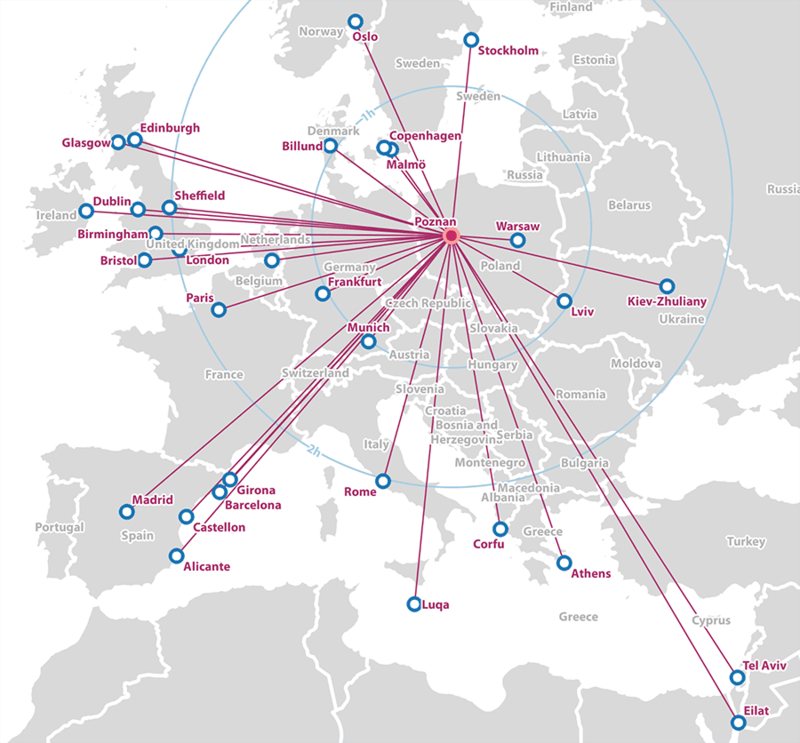 Railway hub with easy domestic and international connections with major European citiesRailway hub with easy domestic and international connections with major European citiesThe major airport for Poznań is Ławica Airport, which is situated 6 km from the city center. During the European Football Championships EURO 2012, during which Poznań was one of 4 host cities in Poland, the proven capacity of the airport (19 June 2012) was 11.369 passengers per day. That includes 21 football national teams in VIP standard. Direct highway links to Berlin (250km) and Warsaw (310km). Journey by car takes 2 hours.